So last Friday was my birthday and last week I learned that my chocolate and peanut butter obsession is way worse than I thought. 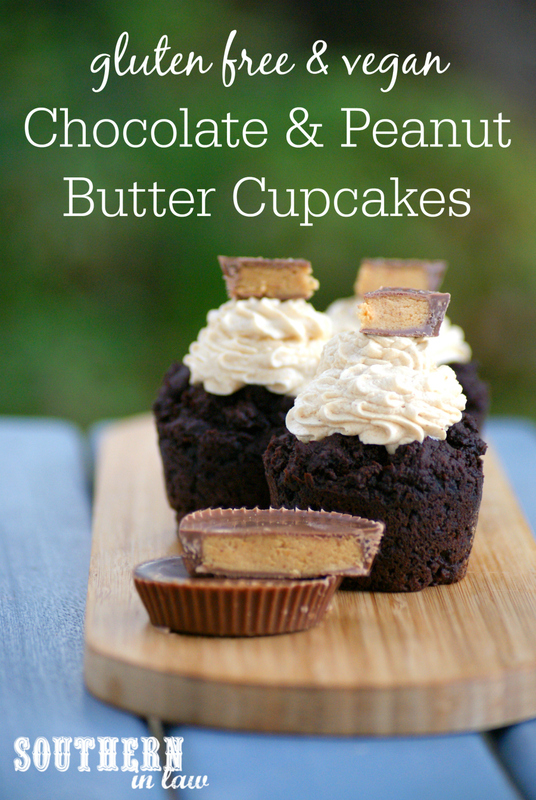 You see, my love for chocolate and peanut butter is SO strong that I misread an entire conversation with Jesse. K: "I already told you, I don't want anything for my birthday"
J: "I just got you silly stuff"
J: "and chocolate and peanut butter"
YESSSSSSSSSSSSSSSSSSSSSSSSSSSSSSSSSSSSS! says Kristy. He got me chocolate and peanut butter! Um, yeah, no.... you just misread that reply. You see, I watched Amazon packages arrive for Jesse and thought YES! Peanut butter only to mention something the day before my birthday and have him say "oh what? no... 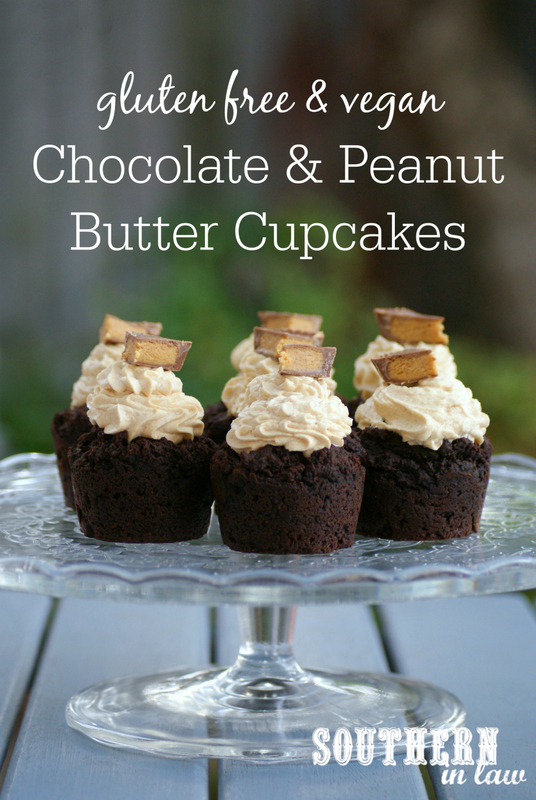 I meant chocolate and peanut butter frosting...."
As soon as I said it both Mum and Jesse said "NOOOOO! Why didn't I think of that! That would have been the perfect thing to buy you". But that amazon package? A unicorn head (not even kidding.... you may have seen the video on our Instagram story). Luckily I took matters into my own hands to make sure I had both chocolate and peanut butter on my birthday and made these ridiculously delicious chocolate and peanut butter cupcakes - without paper liners because I am the best wife ever (as Jesse HATES them!). Lightly grease your cupcake pans or line them with paper liners. In a bowl, sift your flour and cocoa powder and add in all of your other ingredients. Mix until just combined, adding up to 1/4 cup of water if needed to incorporate all of your ingredients (the batter will be thick). Divide your mixture amongst your cupcake pans, smoothing the tops with the back of a spoon or spatula. Bake your cupcakes for 15-25 minutes or until cooked through and a skewer inserted into the centre removes clean. Baking time will vary depending on how thick your cupcakes are, so keep an eye on them and take them out once cooked through. To make the frosting: In a mixer, beat your butter spread until soft. Scrape down the sides and add your sifted peanut flour and icing sugar. Spread your cooled cupcakes with your frosting or pipe it on using a piping bag. 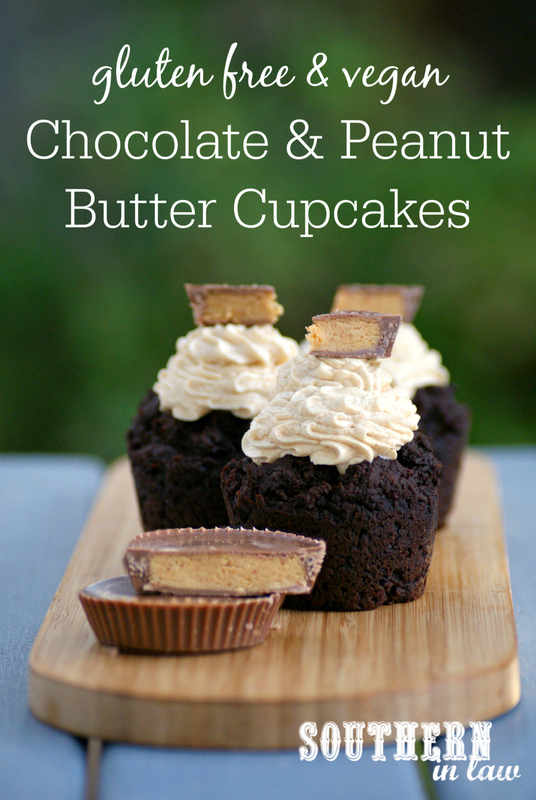 Top your cupcakes with a piece of peanut butter cup and enjoy! *If you want fluffier cupcakes, use 1 1/2 cups self raising flour and keep all of the other ingredients the same. We do like how dense and delicious these are as per the original recipe though! **Coconut oil will not work in place of butter/margarine here. 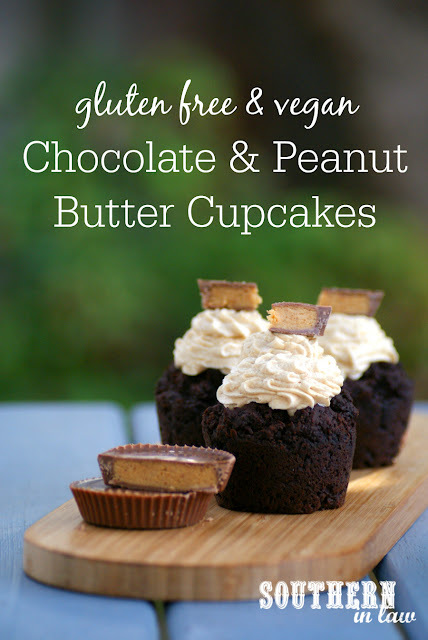 We use Nuttelex, however, if you're in the US earth balance or a dairy free butter alternative that can be used in baking is what you need to use. If you're not needing these to be vegan/dairy free, you can use butter. But tell me, have you ever thought you were getting something for your birthday/Christmas only to find out you were totally wrong?